Massage therapy, more specifically equine sports massage is a therapeutic method of bodywork that when implemented properly can enhance equine physical performance. Not to mention, it can also vastly improve an equine’s behavior––by addressing and treating underlying and sometimes undressed physical pain. If you want to improve range of motion, gain flexibility and aid in the general well-being of your horse, consider massage therapy. 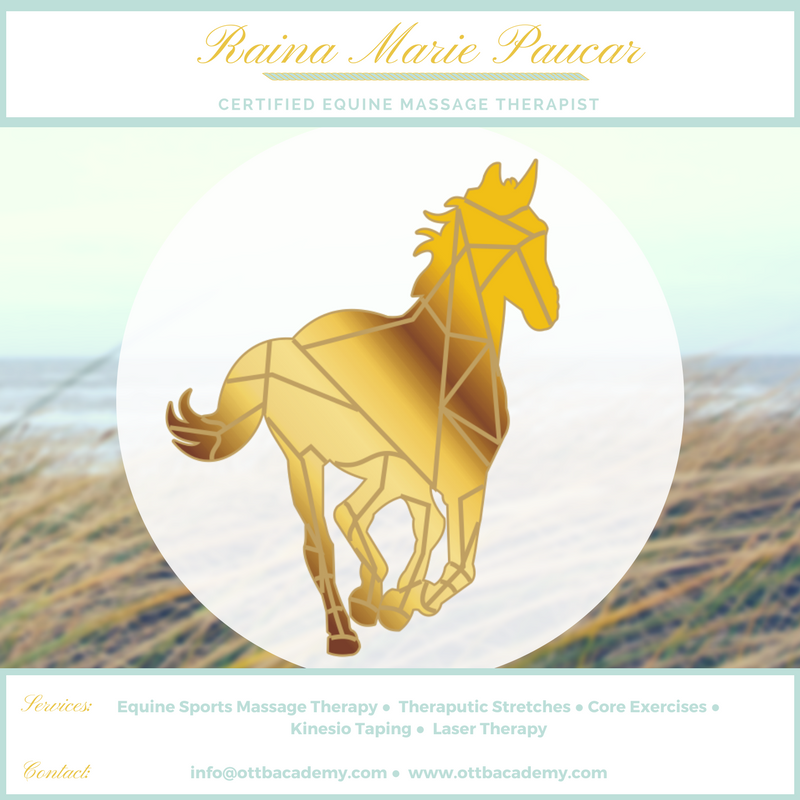 As a certified equine massage therapist specializing in sports massage, I have studied equine anatomy and the muscular structure in great detail. It is essential to not only learn anatomy but to also understand how structure correlates to equine biomechanics–in order to properly release tight muscles, loosen fascia and tone specific muscles. Since the horse is over 60% muscle, it is essential to properly develop and treat both the superficial and deep muscles in order for your horse to gain flexibility, improve range of motion and stay relatively sound. A CEMT with proper training can identify and locate muscle groups by name in the horse and know the exact location of deep and superficial muscles, as well as their function and attachments. In addition to having an intimate knowledge of equine anatomy, is the ability to accurately identify problem areas in the horse and apply the proper technique(s) to achieve the desired result––whether that be a release or a constriction. Horses develop muscle issues for numerous reasons. Even with proper training, a horse can develop muscle fatigue and soreness in the body. Like people, horses have issues with symmetry and balance and tend to favor one side over the other. Because of this, it can result in the overexertion and improper use of muscles. Eventually, the muscle will reach a noticeable point of restriction and will manifest as soreness, stiffness, lameness or some other physical limitation. Often times when a horse is “misbehaving” it’s because they are in need of relief from some type of unaddressed physical discomfort. Horses can’t stretch and massage all the muscles that need attention–that’s why therapy is beneficial. Stiffness in the body is caused by a lack of flexibility in the muscles—which over time will lead to soreness, restriction, and loss of motion. Horses training for high-levels of competition can benefit greatly from sports massage therapy. Even a horse that is well developed and fit with regular training can get tight and constricted muscles. Especially if they are kept in the stall with minimal turnout. This could result in possible muscle and tendon tears or other side-lining injuries requiring layup time. Improving circulation and blood-flow are crucial elements for developing and conditioning the equine athlete. Massage combined with stretching and core exercises can increase blood flow, circulation resulting in muscle elasticity and flexibility–which can help prevent these types of injuries. Massage therapy can also help alleviate muscle strain and fatigue—due to lack of symmetry and overcompensating by overworking other muscles. It can also stimulate muscles that are weak or underused due to injury. These are all essential components to consider for your horse. Especially when the stakes are high and you need your horse top condition for a competitive edge. What Does a CEMT Do and What Can I Expect? You can expect a CEMT to first do an assessment of your horse. You may be asked to walk or trot your horse in order for the CEMT to evaluate and locate the areas of tense or tight muscles. Part of the evaluation will be to assess the horse’s conformation and overall muscle development. You may also be asked questions about your riding discipline, goals, upcoming competitions, problems under saddle, recent injuries, etc. 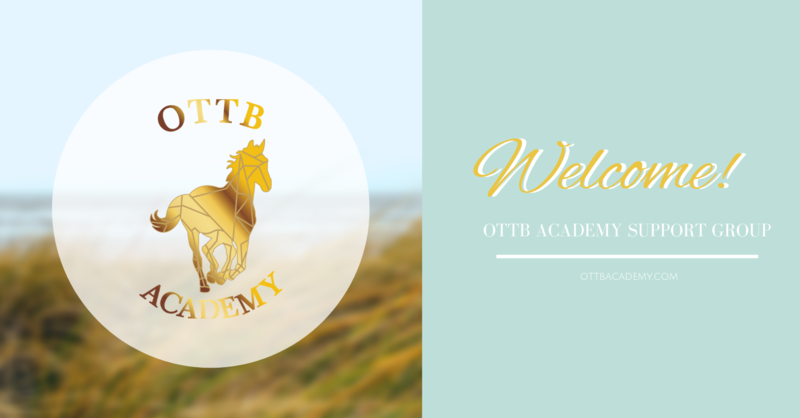 This knowledge and background about your horse and your goals as a rider help to shape and develop a plan for massage therapy. Most horses enjoy a massage, however, there may be moments the therapist is working on a particular tense or tight area and the horse’s reaction might be unpleasant. Although it may at times be uncomfortable to the horse, certain techniques and manipulations are necessary to get the release in the problematic region. A number of stretching and separating techniques or other forms of pressure, compression or friction may be used to loosen muscle fibers and fascia. Your horse may experience some soreness after a therapy session, but should quickly recover with visible improvement. 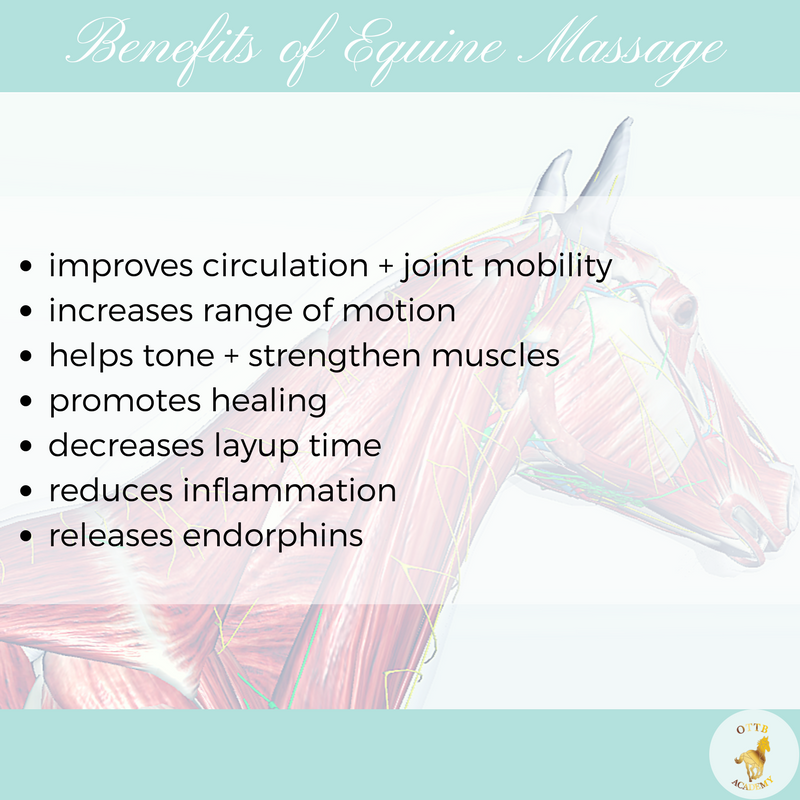 With all the benefits of massage therapy, consider implementing it into your equine’s life. Whether it’s for the purposes of competition or rehabilitation it will maximize their overall sense of well-being. Don’t we all want to give the very best experiences for our horses? *A Certified Equine Massage Therapist (CEMT) does NOT diagnose illness or lameness. Massage therapy is never a substitute for veterinary care. If your equine is experiencing illness or lameness, please consult your veterinarian.